Fan Network First: You pick your view for the San Antonio LIVE Webcast! In yet another Fan Network first, the Live Webcast from the DCI Southwestern Championship in San Antonio on Saturday, July 19, will offer fans the chance to choose how they watch a full day of exciting drum corps performances over the Internet. Online viewers will have the ability to select whether they want to watch the contest in a Multi-Camera or a High-Camera view, giving fans unprecedented control over how they enjoy the action live from the Alamodome. Everything's bigger in Texas and this contest is no exception, featuring the first meeting of all 20 World Class corps all under one roof! San Antonio-based Revolution steps off at noon CT as the sole representative of the Open Class at this event, followed by the first 12 World Class corps who will perform in the afternoon. Competition will be intense to qualify for the four advancing spots into the evening performance starting at 7 p.m. CT. With corps making big changes to their programs and relentlessly refining their repertoires at this point in the season, anything could happen deep in the heart of Texas. Do you want a first look at corps' new drill changes from the top of the Alamodome's stands? Or do you want to get up close and personal with a multi-camera view? 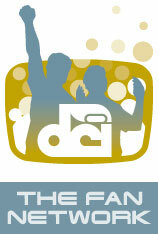 It's your choice to decide, thanks to the power of the DCI Fan Network! The San Antonio Live Webcast is included with a Fan Network subscription, which also gives you the latest and most exclusive coverage of the 2008 DCI Summer Tour, with more Webcasts, post-show OnDemand replays, Audio Performance Downloads, exclusive content direct from DCI's World Class Corps, and more. You can also watch the San Antonio Webcast with a pay-per-view pass, but you can get hundreds of hours more enjoyment with a full Fan Network subscription for the low price of $69. Purchase a Fan Network subscription or San Antonio pay-per-view pass today!